Up until recently, I never thought I would be tempted to kiss my iPhone screen. However, as a clever new campaign from cosmetics company Shiseido proves, there is a first time for everything. Called “Rouge Rouge Kiss Me,” Shiseido’s campaign is designed to promote its new Rouge Rouge lipstick line while raising overall brand awareness to a millennial audience. The campaign and technology were created with Shiseido’s Tokyo-based agency teamLab and will have global reach. So, how do you engage in a virtual kiss? To start, would-be smoochers must visit Shiseido’s dedicated microsite and scan a QR code to enter the experience. Once you enter the experience, you can invite a friend via multiple channels, including SMS, WhatsApp, Line, Twitter, or choose to be bold and simply smooch yourself. The next step is to select your lip color from the Rouge Rouge collection. After, you are prompted to kiss your phone screen. If smooching with another person, you must wait for them to participate before the end result. If you’re smooching solo like this intrepid writer, you’ll enjoy instant gratification in the form of a shareable image and GIF. After the first attempt, this writer became greedy and went in for a second smooch, only to get the following result. Clearly, this is a company with a sense of humor! What can you learn from this campaign? Shiseido is raising awareness for its new lipstick line in a way that creates a memorable experience for its customers. 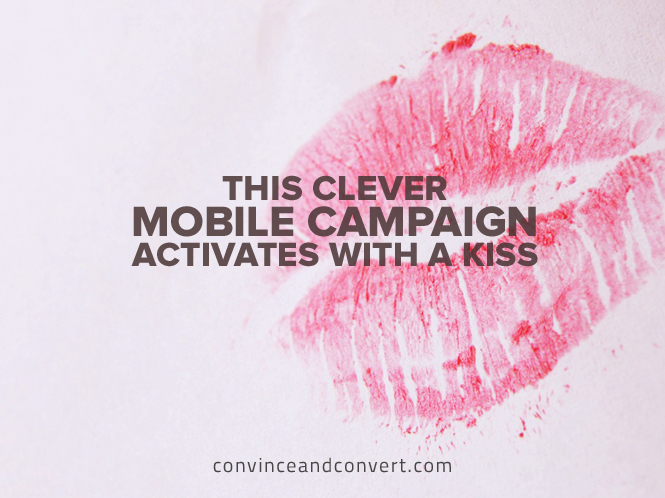 By offering customers a unique experience—sending virtual kisses—the activation adds value and provides incentive to participate and share. An important element of this campaign is how Shiseido provides participants with a personalized image and a GIF to share. Personalized visuals are incredibly shareable because they tell a story unique to the consumer. Whether you did a solo or pair of smooches, the visuals tell playful stories of friendship, romance, flirtation, or humor. 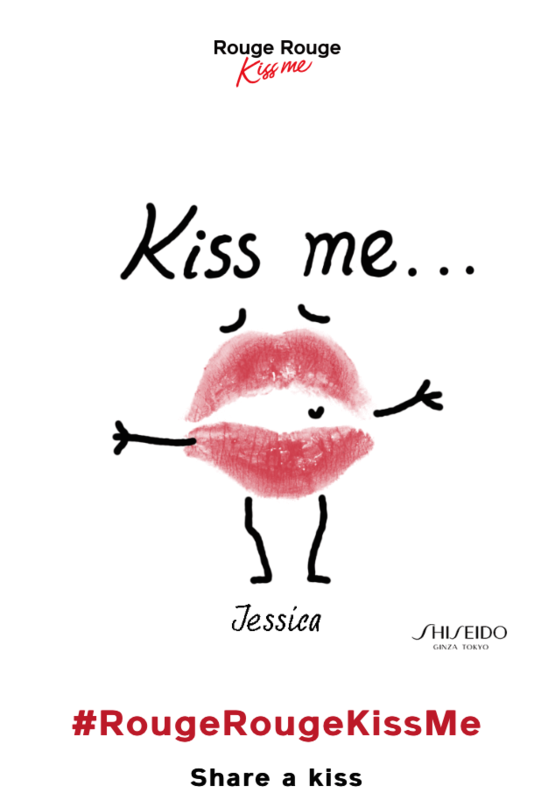 Nicknamed “kissing monsters” by Shiseido, the sad smooches make it clear that the company and creative behind the campaign have a sense of humor, or this writer would not have received a smooch crying for being alone. With these types of experiential campaigns, it’s important to stay true to your brand voice and values, and most importantly, to have fun with it. Plus, the element of surprise goes a long way in generating delight with fans. If you fancy a virtual smooch, test the experience for yourself here.